The Homemaker's Building is the center for several community organizational meetings and activities. It is also available to rent for meetings or family gatherings. You may call Town Hall at 256-659-2122 for more information. 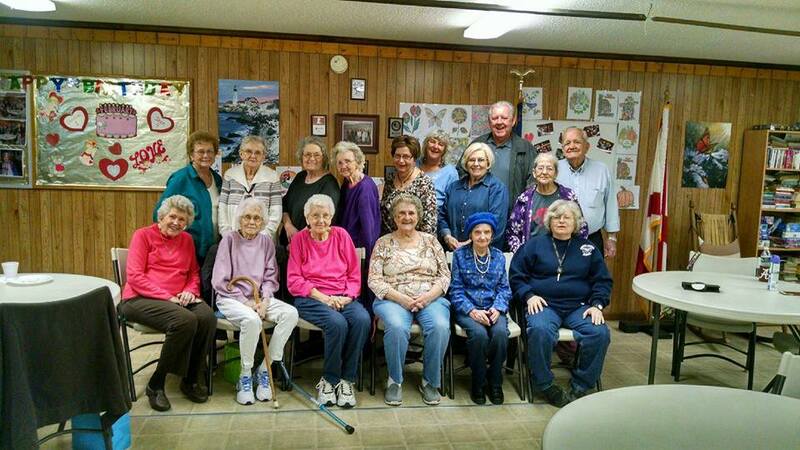 The Town of Geraldine and the DeKalb County Council on Aging partnership to provide a safe and exciting environment where senior citizens age 60 and over meet to socialize, share, play games and other fun activities. A nutritious and well-balanced lunch is served at 11:00 a.m. each day. Transportation may be provided, call the center for more information. The Senior Center provides a place to stay in touch with friends and develop new friendships. Anyone age 60 or over is invited to come and join in. Previous Councilmen Larry Shellhorse, Tim Guest and Current Councilman Larry Lingerfelt donated their time to build the handicap ramp to make the Senior Center more accessible to all ages in 2016.